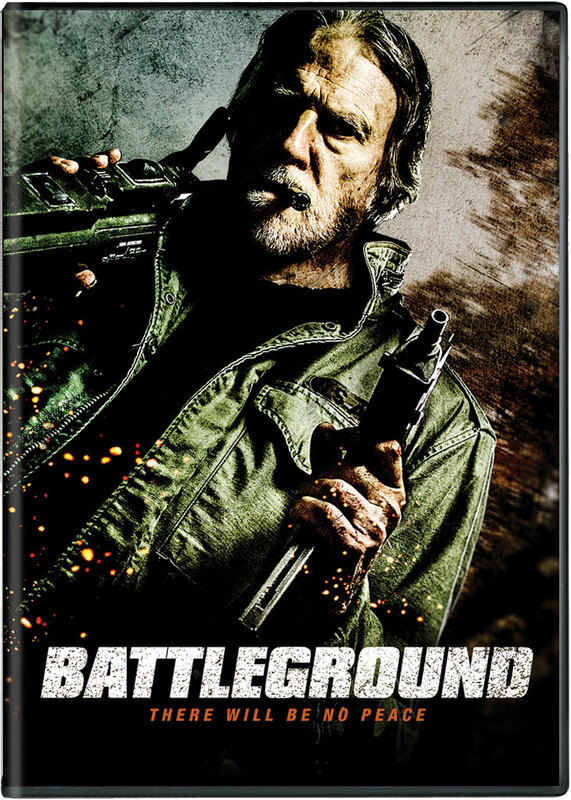 OVERVIEW: Hugh Lambe (End of the Line) stars as “The Hunter” in Director Neil Mackay’s action-thriller Battleground, debuting on Blu-ray™, DVD and Digital August 28th from Well Go USA. The film also stars Bryan Larkin (The Red Machine), Bob Cymbalski (Deathdealer.com), Mark Munro (The Shadow in Red), Damon White (Savage), Robert Nolan (Lucky 7) and newcomer Frank Ieraci as robbers trapped and on the run from a trigger-happy hunter in an isolated forest laced with deadly traps. SYNOPSIS: When a bank heist goes wrong, six ruthless bank robbers become stranded in an off-the-grid forest when their vehicle goes missing during the planning of their escape. 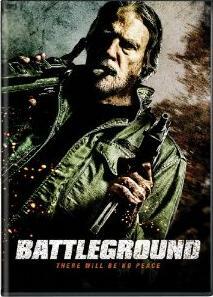 With more than three million dollars and a flight out of the country at stake, the men attempt to navigate out of the woods only to encounter a highly-skilled Vietnam War veteran who uses his military training and tactics to track and kill all who enter the forest. DVD: The film is presented in widescreen in a 1.85:1 aspect ration preserving its theatrical format. The picture is just flawless. Not only the picture looks great in this release, also the sound it is good, a 5.1 Dolby Digital in English that provides a good complement to the picture. It also includes English subtitles.